HF Coin PVC tag is waterproof, wear-resistant, easy to carry,use and shock proof. PVC laminated card packaged chip coil, is similar to the work permits, portrait cards, bank cards. The RFID HF Coin PVC Tag is designed as a tag for The warehouse management, and property tracking, it can be install on the pallet, the cartons, the machine etc. 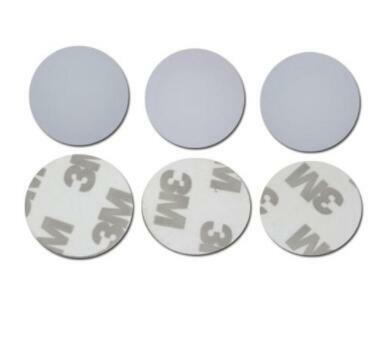 To handle harsh warehouse/ factory environment, the tag is optional with filling epoxy technics, it would made the tag complete water/ oil proof.The tag is also optional with anti-metal layer to mount and working on metal surface or 3M Adhesive.